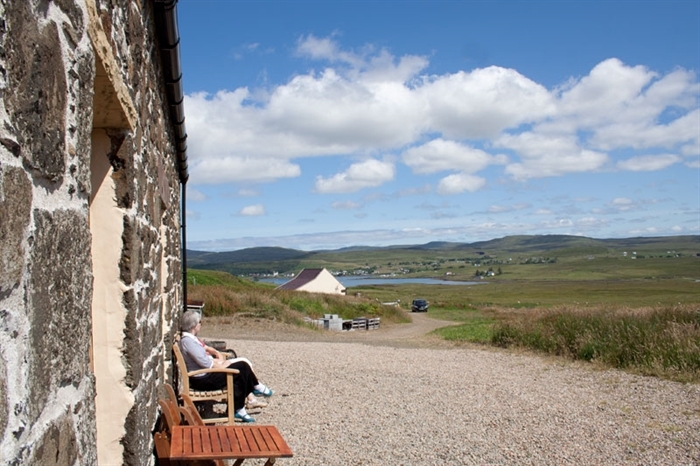 Our self-catering cottage is located in the North West of Skye, partway up Macleod's tables overlooking Dunvegan Loch with the village reflected in the water as the tide ebbs and flows. 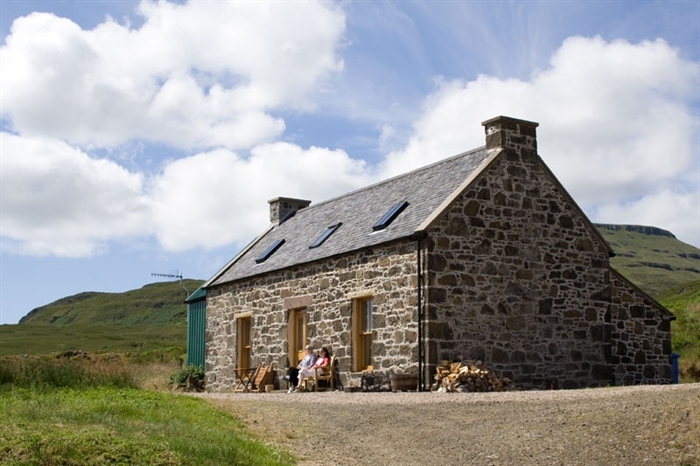 Osdale Farmhouse provides a warm and relaxing base to explore the beautiful Island of Skye whatever the weather.Now recently installed free WiFi for those who need to keep in contact. 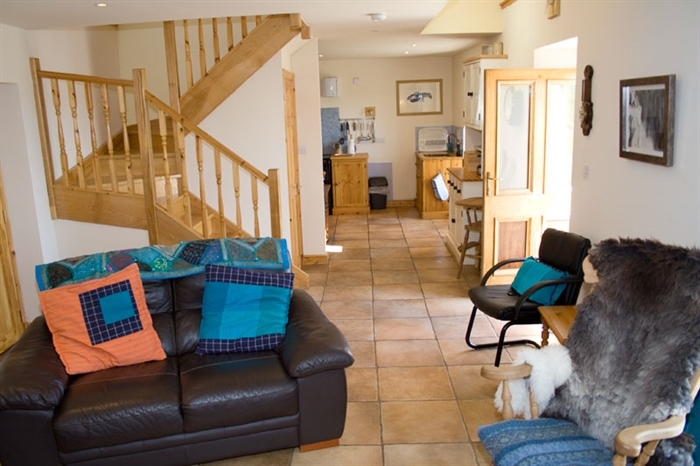 Downstairs the open plan living area benefits from underfloor central heating, there is also a woodburning stove for those colder days. There is a fully equipped kitchen and also a T.V and DVD should it be necessary to stay indoors. The bathroom has an over the bath shower, bidet, basin and toilet. There is also a separate utility room with washer/dryer and another toilet plus basin. Also a boot changing area for hanging wet gear etc essential for walking holidays. 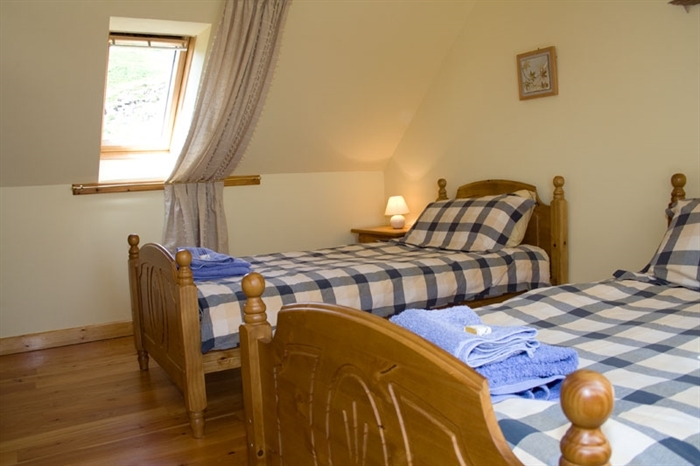 Upstairs there are two bedrooms one with a double bed, the other with twin beds. 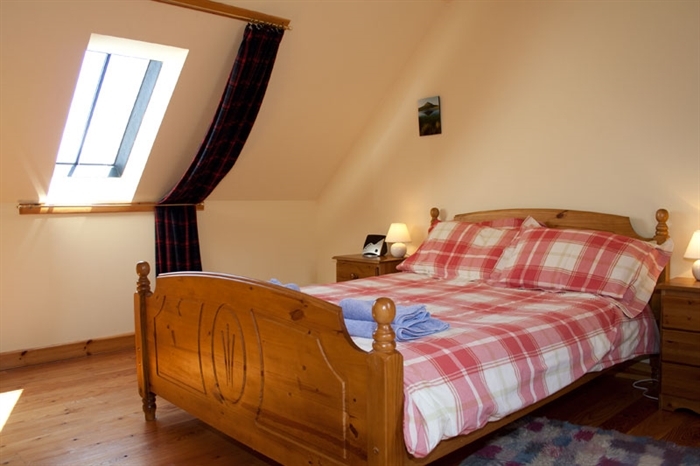 The house is let with all duvets, towels, tea towels, electricity and gas included. Clients are requested to arrive after 4pm if possible and leave by around 10am for a thorough clean between visits. Well behaved pets are welcome but bear in mind our neighbours the sheep and their lambs - well behaved pets is imperative - the garden is fenced in to prevent the sheep coming in and eating our plants and the dogs going out and eating the sheep!